Suggest that your little man pair a Fay nylon bomber jacket from LUISAVIAROMA with light blue sweatpants for a comfy outfit. Blue sneakers are a wonderful choice to complement this getup. Opt for your child's comfort with this combo of a Fay nylon bomber jacket and grey jeans. Grey sneakers are a wonderful choice to round off this getup. Suggest that your son team a Fay nylon bomber jacket from LUISAVIAROMA with brown jeans for a fun day out at the playground. This ensemble is complemented perfectly with dark brown boots. Suggest that your little guy opt for a Fay nylon bomber jacket from LUISAVIAROMA and red shorts for a fun day out at the playground. 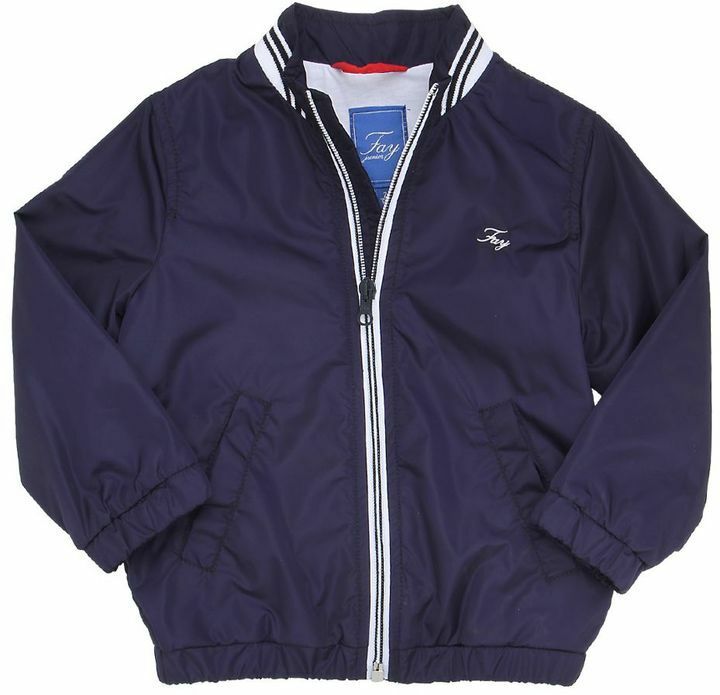 Suggest that your little angel pair a Fay nylon bomber jacket with grey shorts for a comfy outfit. As for footwear your child will love navy and white sandals for this ensemble.